Super Junior have done it again in Taiwan! 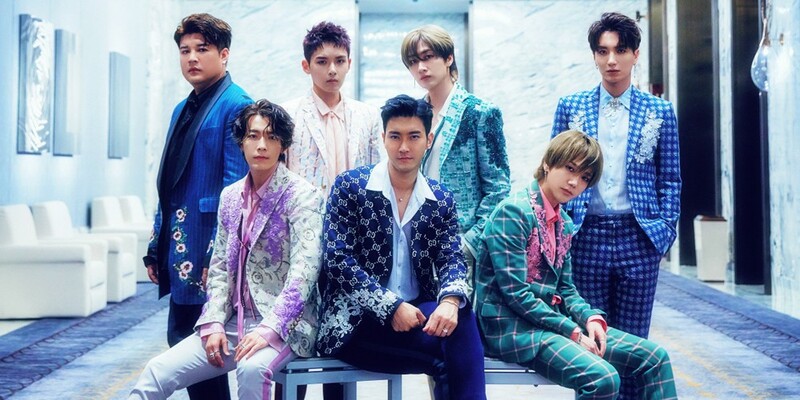 According to SM Entertainment, Super Junior is currently running in the #1 spot on Taiwanese music site 'KKBOX's Korean albums chart for 50 straight weeks, and counting! Super Junior's 8th full album 'Play', released on November 6, 2017, stood #1 on 'KKBOX' Korean albums chart from November 6, 2017 through April 12, 2018 - for a total of 23 weeks. The #1 album then switched to Super Junior's repackaged album 'Replay' beginning from its release on April 12, 2018, through this week's chart rankings on October 18 - for a total of 27 weeks as of now. Furthermore, Super Junior's special mini album 'One More Time' is #2 on 'KKBOX's Korean albums chart for the week of October 18, followed by Super Junior D&E's 'Bout You' at #4. Meanwhile, back from June, 2010 through September, 2012, Super Junior hold a record for maintaining the #1 spot on 'KKBOX's Korean singles chart for a total of 121 weeks. Taiwan ELFs daebak... Yes, SuJu is very well loved there. Taiwan is one of the first foreign markets SuJu entered back in 2007 even before their big hit Sorry Sorry. And SuJu is the first Kpop group to gain mainstream popularity there. Taiwanese fans tend to be very loyal, especially as SuJu is a lot of Kpop fans' first love.